Our technicians at Key Glendale Appliance Repair have the necessary tools and training they need to fix any stove, oven, or range made by all the major brands. We make sure that our service vans are stocked with manufacturer parts for the major brands so that we can fix all the common issues that occur. We offer a 12-month warranty that our technicians do and are able to complete the repair on the initial visit to your home. There are a couple of things that the customer can check first before they decide to call us. For electric stoves, they will want to make sure that the appliance is plugged in. If it is a gas stove, they will want to make sure that the pilot light has not gone out. After those have been checked, depending on the type of stove, then give us a call. There are multiple reasons why this may be happening such as the infinite switch, oven burner igniter, surface element, or the bake and broil element. A stove or burner that won’t get hot is really not going to do very much. If a burner won’t get hot or ignite, it can be a broken element, burner switch, or terminal block. If it is the oven that will not get hot, it could possibly be the bake element or a broken oven sensor. The great thing about these common problems is that our trained technicians can fix this problem in as little as an hour or two after we arrive. Just in time to get dinner on the table. When the timer or the program settings of the stove are not working, there is a good chance that there is going to be a faulty control board in the appliance. We carry and replace control boards for brands like LG, Sears, Kenmore, GE, and a few others. It is also comforting to know that there is a warranty on the control boards and other parts that we may use to repair the stove. Of course, you want your oven to get hot, but there is such a thing as an oven that gets too hot. It is a difficult and dangerous problem to troubleshoot due to the danger of being burned and injured by a malfunctioning heating source. This can happen as a result of a bad thermostat or sensor. Regardless of what it may be, our technicians can figure it out and get it repaired. This is a common issue that can happen for a few reasons like a bad safety valve, bad temperature sensor, broken electronic control, or a broken surface igniter. Whatever the issue, it is characterized by an igniter that will glow but not fully light. Our technicians have the experience to diagnose whether the parts can be fixed or if they need to just be replaced. 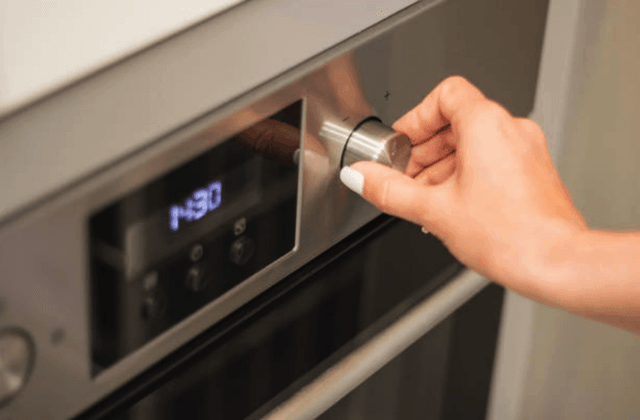 Sometimes, in the newer self-cleaning oven models, the doors may not open following the cleaning cycle. We will address the cause of the problem following an inspection of the door latch, seal, and thermostat.